Cleaning: Do You Really Need All of That? 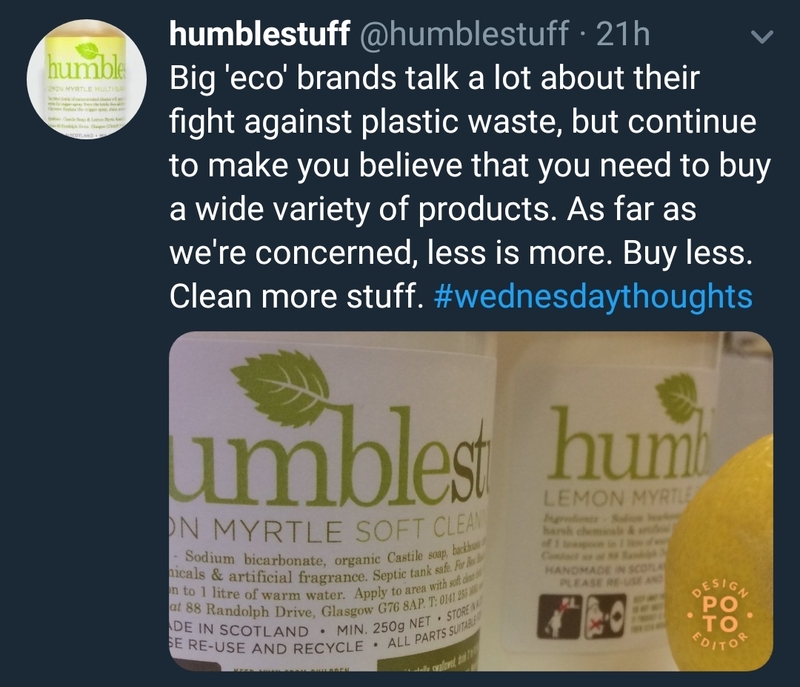 "Big 'eco' brands talk a lot about their fight against plastic waste, but continue to make you believe that you need to buy a wide variety of products. As far as we're concerned, less is more. Buy less. Clean more stuff. 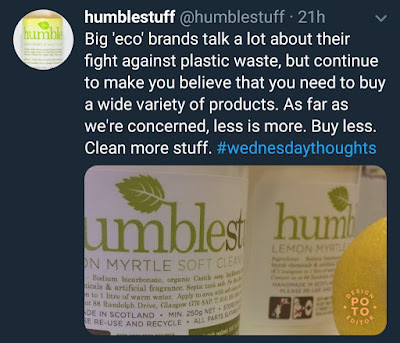 #wednesdaythoughts"
Why is there such a perceived notion that we need dozens of cleaning supplies? Are they all really that different? Is a kitchen floor cleaner AND a bathroom floor cleaner necessary? I'm guessing the answer is probably not, since a quality product should be able to tackle both situations! I have decided to invest in just three cleaning solutions - a multi-purpose spray, a washing up liquid, and soap nuts. 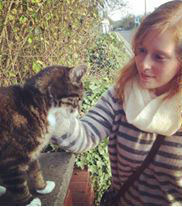 And in a few months I will be updating you eco-beauties how I got on! 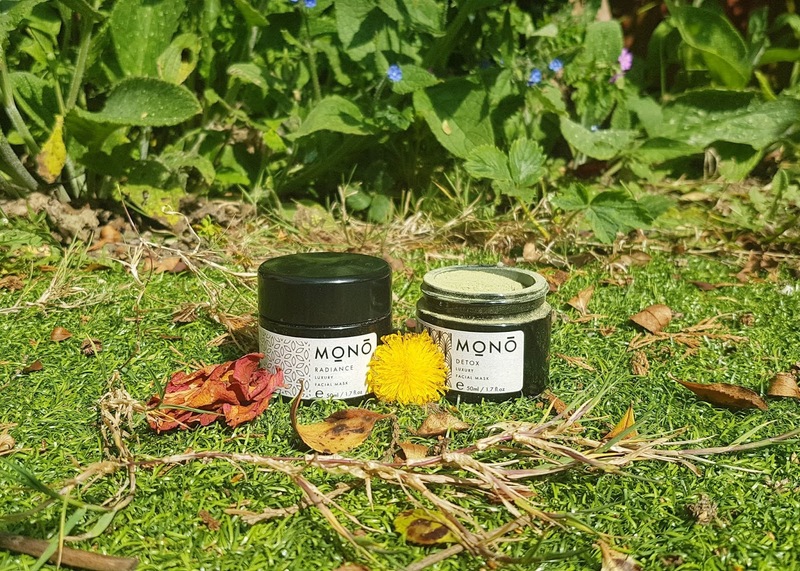 For those of you wondering what to do for those tougher jobs that need a little extra oomph or even those that are a bit more delicate and need a gentler formula, well, there's a great plastic free and budget friendly answer that is so simple you might be surprised you didn't think of it sooner! And to explain, today I'll be bringing you something a little bit different, and something that The ecoLogical has never done before.... A guest post! So without further ado, I'll let this eco-beauty introduce herself! My name is Margaret and I am an owner of a small cleaning company which is based in London, UK. In my free time, I like to write articles related to cleaning, organizing, and eco. When you clean your own home, you always want to use the best techniques and methods. However, you should be extremely cautious to what type of products you use! A lot of brands have multipurpose cleaning solutions or specialised ones, which unfortunately are mostly based on chemicals and toxins. 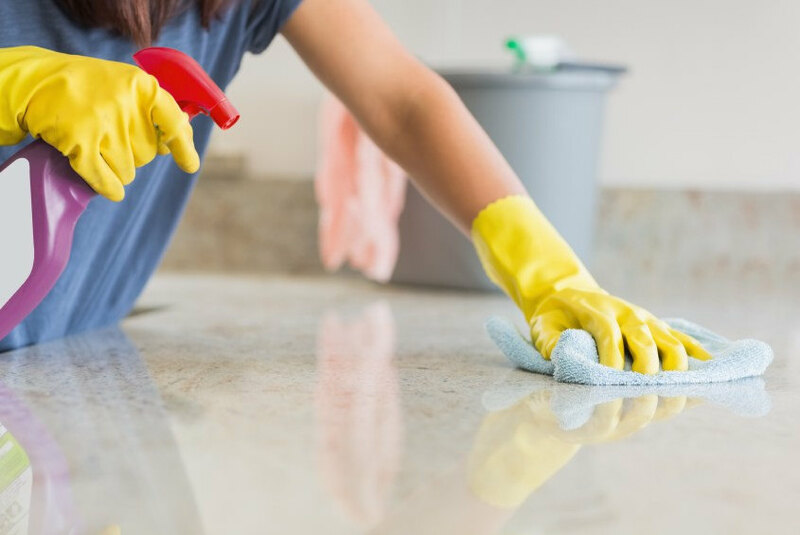 While you clean, you leave some poisonous substances on the surfaces and that is definitely not the safest for you and your family! We are here to give you some tips on how to maintain your home and keep it perfectly clean by using all-natural methods! The first thing I feel obligated to tell you, if you didn’t know it already, is to use lemon, vinegar, baking soda and salt for cleaning. These products can work miracles on different surfaces, and you will see it right after the first use! Also, olive oil and a little bit of fresh air can do wonders! Lemon are a great all natural cleaner. For example, it can be used to clean your microwave - simply put the juice in a cup inside the microwave for three minutes on a medium heat. Then wait for five minutes without opening the door so the steam works its magic. At the end, wipe the surfaces on the inside with a dry cloth and your microwave is perfectly clean! Lemons can be also used to polish metal surfaces – just rub a slice over a certain item (works best on copper and silver), and you will easily spot the difference. 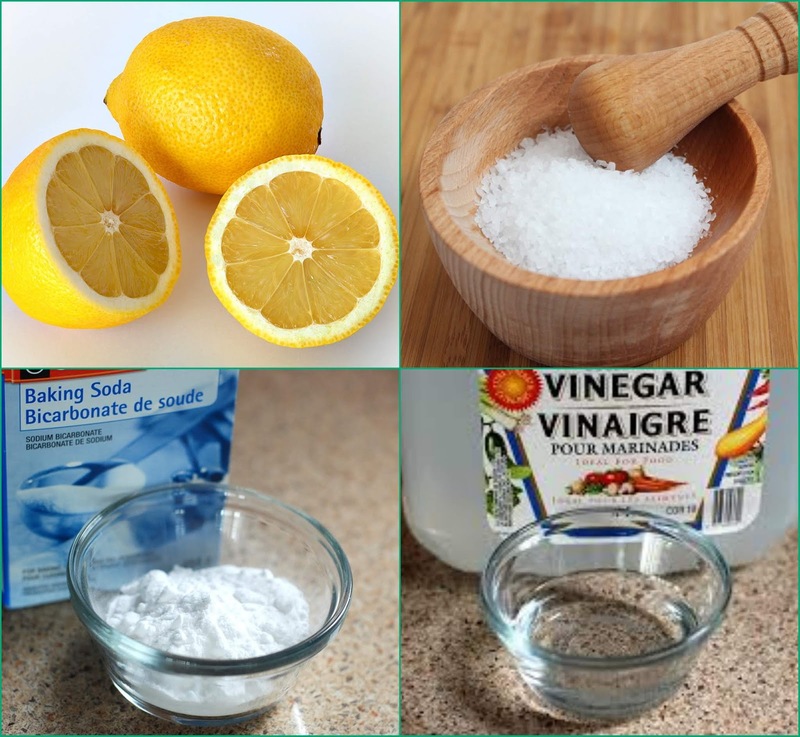 Vinegar and lemon juice can be combined and used to clean your home surfaces on a daily basis! If you want to make sure your toilet is regularly sanitised, then you should put a cup of baking soda in the bowel and leave it for sixty minutes. After that pour some white vinegar and wait another five minutes, then flush it and your toilet is freshly cleaned! Also, baking soda is one of the best natural ways to get rid of unpleasant odors. If your gym/sport shoes have a bit of a character, simply put some baking soda and leave it overnight. On the next day, remove it and you will have no problems! One very useful way to clean your sponges is with salt. If they are filled with bacteria, you aren’t cleaning anything! Fill a container with cold water and put a lot of salt in it. Rinse the sponges and then soak them in the salty mixture. Leave them for up to two hours. The process will make sure bacteria and germs are gone! Another good use of salt is to mix it with some lime juice to remove rust. Leave the paste-like mixture on rusted areas for a few hours and then scrub to remove it. Easy as that, and no harsh chemicals required! If you want to have a fresh and healthy home environment you need to forget about any type of store bought air fresheners. Some plants will do a much better job with freshening the air than fragrance filled canisters or plug ins. You can start with a simple spider plant. This easy maintenance plant absorbs carbon monoxide, plus it can help decrease fatigue, the common cold, and anxiety. Other natural air fresheners are lemons, spices and flowers – these add a natural fresh scent to any room. It is also important to not forget opening the windows to let some fresh air come in, even on cold days. Just a few minutes can make a huge difference! Most people purchase wooden furniture, because they find it more beautiful. The common practice is to use an aerosol style product to polish the furniture, but these are filled with unnecessary nasties. One very natural way to polish wooden furniture and items is to use olive oil. A few drops of the oil on a cotton cloth are how you will achieve the perfect look for your wooden furniture. Okay, so now you know about all the essentials, but what else can you do with these everyday all natural ingredients? Turns out, a whole lot! For safe and colour-preserving washing of your clothes, you can make your own laundry detergent. Purchase borax and mix it with baking soda in equal portions. Add a grated bar of soap (you can use castile soap, or any other gentle vegan soap) and you have your own laundry detergent! Plus, to preserve the colours of your clothes, you can add a half cup of vinegar (preferably white) to the rinse-cycle at the end. This will also help soften the fabrics! To make sure your mattresses are clean and disinfected, you should cover them in baking soda and leave them this way for a few hours. The baking soda works to absorb any unpleasant smells, sort out any bacteria, and freshen up the material. After it has been left to work for a while, use a vacuum cleaner to remove the soda, and voila, your mattress is as fresh as new! You can easily make dishwasher tablets with: 2 cups of borax; ½ of coarse salt; 2 cups baking soda; ½ cup of vinegar and 15 drops of lemon essential oil. After you mix well the ingredients, put them in ice cube trays and leave them to air dry for not less than 24 hours. When they are completely dry, place them in an airtight container and use one tablet per dishwashing cycle. And there you have it - everything you need to keep your house clean and healthy without any synthetic or toxic chemicals! It is so simple to have a cleaner, toxins-free and chemicals-free safe home environment with these natural products! Have you tried any of these methods out before? Have any other tips to share? Let me know down in the comments below! This is such a great post - it is amazing the things you can make up using baking soda - it is such a great cleaning ingredient. I will have to look into Humblestuff as well. This is fab and I love how you can make cleaning products yourself and there are much less chemicals too. Very eco friendly. I have been cleaning the grout in my kitchen tiles today with vinegar! works a treat!